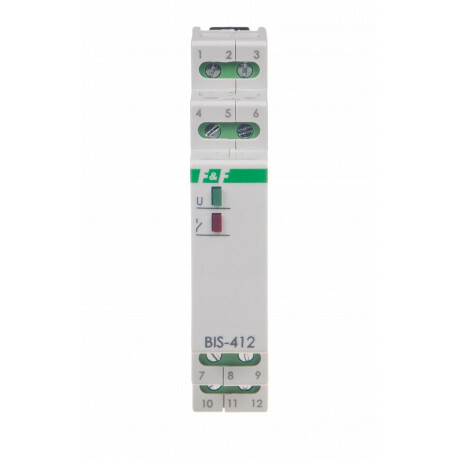 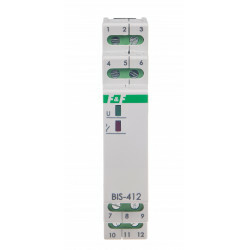 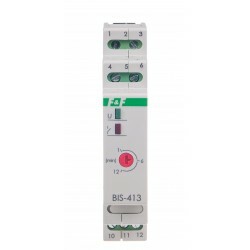 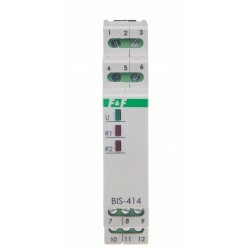 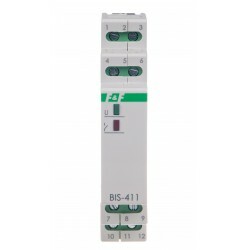 BIS-412 electronic bi-stable pulse relay is designed for operation in a group configuration. 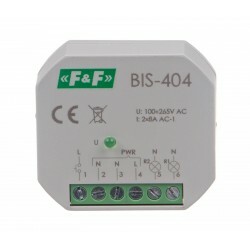 Power supply 24 V AC. 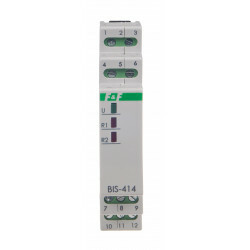 Maximum load 16 A (160A/20ms). 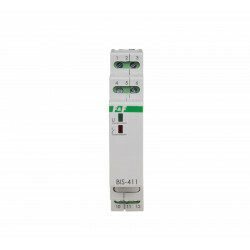 On rail TH-35. 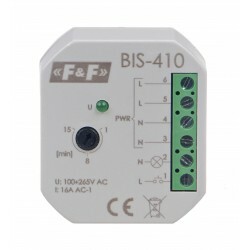 A single relay enables the activation and deactivation of the receiver controlled after each current pulse triggered by pushing a local control momentary push-button (bell-push). 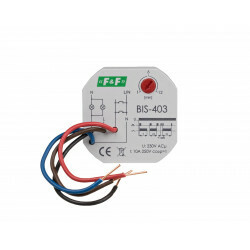 The group configuration enables the deactivation or activation of all receivers connected to individual relays by means of the central control push-buttons. 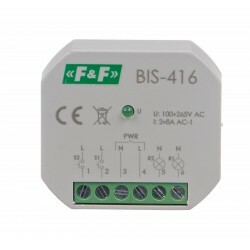 The receiver is activated after a current pulse that is triggered by pushing one optional momentary push-button belonging to the local control group. 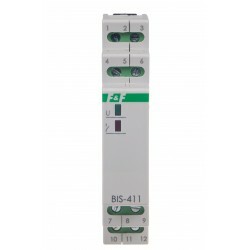 The contact of the relay is switched to the 7-10 position. 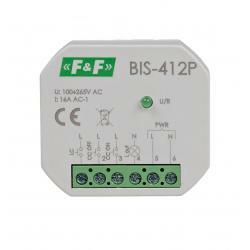 After a next current pulse, the receiver will be deactivated (the contact of the relay returns to the 7-12 position). 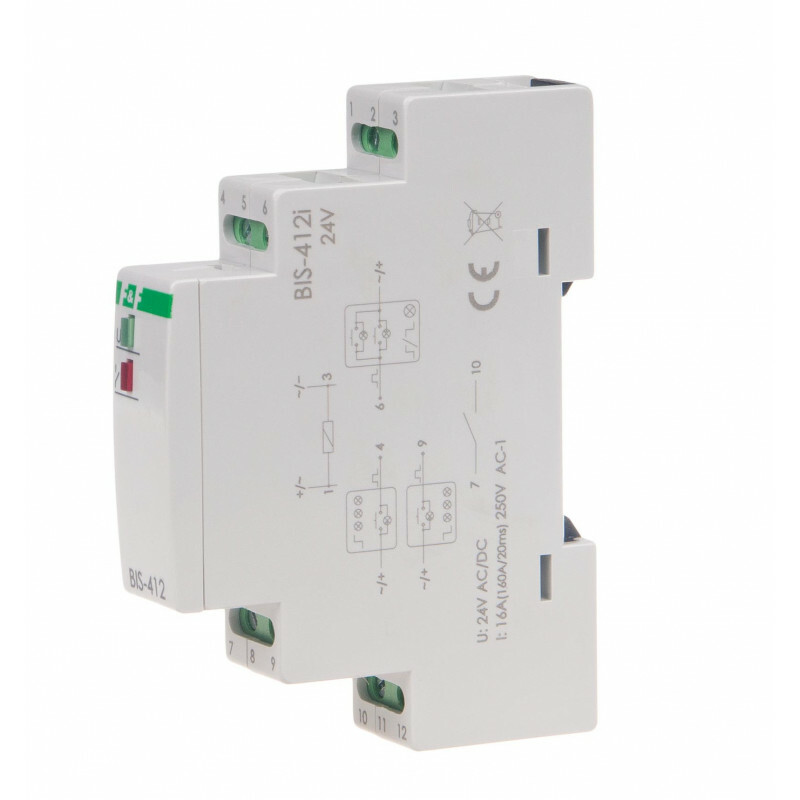 DEACTIVATE ALL - after a current pulse triggered by pushing the momentary push-button , all receivers will be deactivated (regardless of their status, i.e. 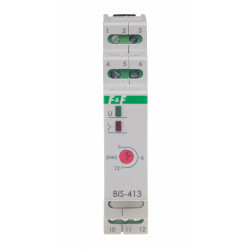 deactivation or activation) that are controlled separately by individual relays. The contact in each relay will be switched to the 7-12 position. 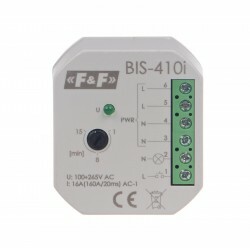 ACTIVATE ALL - after a current pulse triggered by pushing the momentary push-button , all receivers will be activated (regardless of their status, i.e. 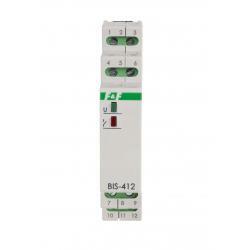 deactivation or activation) that are controlled separately by individual relays. 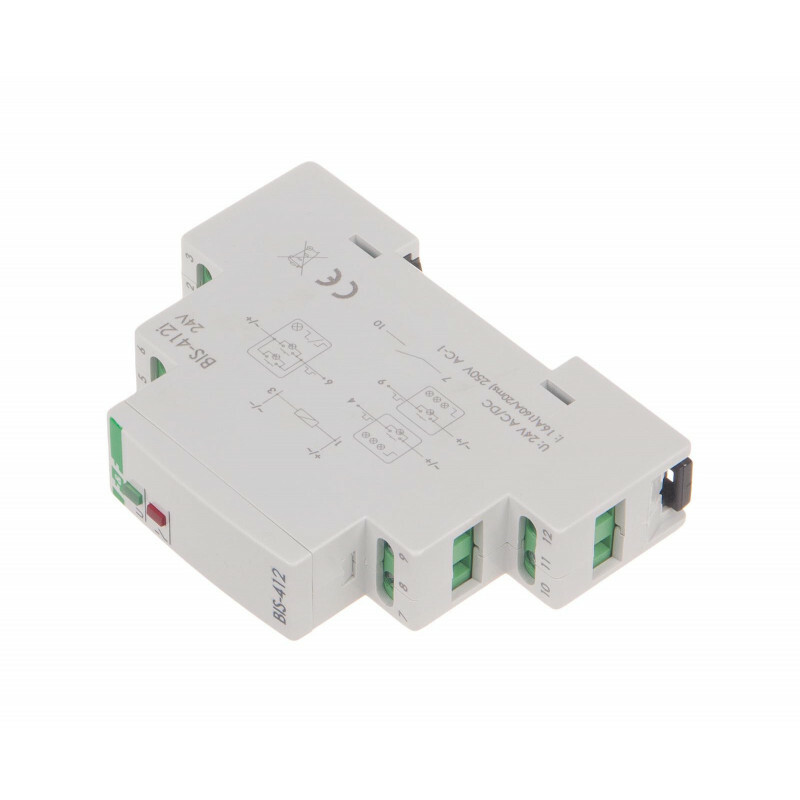 The contact in each relay will be switched to the 7-10 position.